One question that boggles the mind of all players in every stock market is “What should be the true value of the shares?” To a market regulator, this question is of much more importance. It is the regulator’s duty to take all appropriate measures to ensure that the shares should be priced so as to reflect the fundamentals of the company. Otherwise, it may result in astronomical losses to all the players of the market, from individual investors to big corporate giants. Before the liberalization of economy in 1991, the economic policies of India seemed to control all aspects of industrial development. It was a result of these kinds of policies that the independent India decided to carry on with the Capital Issues (Control) Act, 1947 (hereafter referred to as CICA). Control of capital issues was introduced through the Defence of India Rules in May 1943 under the Defence of India Act, 1939. After the Second World War, it was continued by an ordinance. Then in April 1947, the Capital Issues (Continuance of Control) Act, 1947 replaced the relevant provisions of Defence of India Rules. It was continued for just three years initially, but then in 1950 and 1952 its term was successfully extended till 31st March, 1956. Finally in 1956, the Act was made permanent and enacted as the Capital Issues (Control) Act, 1947. CICA provided for several ways for the government to control the financial market. It required the companies to take the consent of the Central Government before making an issue of capital. It was impermissible to purchase or sell securities issued out of an issue of capital which was made without the consent or recognition of Central Government. Even for publication of advertisements for issue of capital required prior approval of the Central Government (Section 4, Capital Issues (Control) Act, 1947). In addition to this, it empowered the Central Government to regulate the timing of new issues by private sector companies, the composition of securities to be issued, interest (dividend) rates which can be offered on debentures and preference shares, the timing and frequency of bonus issues, the amount of prior allotment to promoters, floatation costs, and the premium to be charged on securities. CICA did not restrict the powers of the government to ensuring free flow of information, but gave the mandate to the government to decide upon what kind of securities to issue, how to issue and for whom to issue. This gave enormous powers in the hands of the government over the financial market, which proved to be a fatal mistake for the economy. To have a better understanding of CICA, we must know the purpose behind its enactment by the legislature. In the case of Narendra Kumar Maheshwari v. Union of India, while looking into the validity of consent granted by the Controller of Capital Issues for issue of shares and debentures by Reliance Petro-chemicals Ltd., the Supreme Court had an opportunity to discuss the purpose of the Act. The Court referred to the Debates of Lok Sabha and Rajya Sabha of February-March, 1956 regarding the question of continuance of Control of Capital Issues. The main purpose of the Act, as was stated by the then Minister of Finance, C.D. Deshmukh, was to prevent the diversion of investible resources to non-essential projects, the control had also been used for many other purposes and the most important of these purposes, which might be called ancillary purposes, were the regulation of the issue of bonus shares, regulation of capital reorganizations plans of companies including mergers, and amalgamations which involved the use or re-issue of capital and the regulation of the capital structure. It was also discussed as to how the purpose of the Act could be used to frame the national investment policy. After going through the Statement of Objects and Reasons and the debates, the Court came to the conclusion that the purpose of the Act was to secure a balanced investment of the country's resources in the industry and not to ensure so much the soundness of the investment or give any guarantee to the investors. To further the objectives of CICA efficiently, the Central Government established a separate authority, named Controller of Capital Issues, in the Ministry of Finance, Department of Economic Affairs. The onus of determining the price of securities was upon CCI. The methodology which it applied to evaluate the equity shares was not disclosed till 1990. 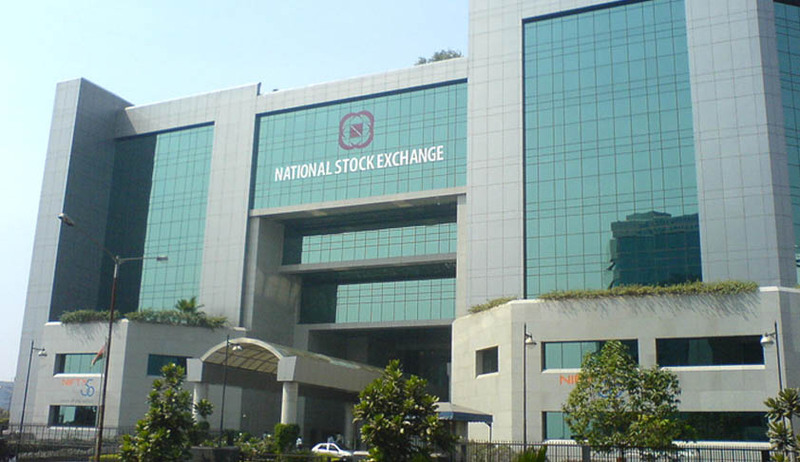 In 1990, Guidelines for Valuation of Equity Shares of Companies and the Business and Net Assets of Branches (in short, referred to as “Valuation Guidelines”) was published by the Ministry of Finance. (ii) above the issue price. In such a case while it will be profitable for the new shareholders as the new book value will be above the issue price, at the same time the old shareholders will suffer as it will be below the old book value. Further, the guidelines were criticized for not taking into account revaluation of assets unless it has been done long ago, “say nearly 15 years”. Also, the exclusion of reserves not created out of genuine receipts or cash like amalgamation, etc. in Para 6.2(iv) lacks justification. To term amalgamation proceeds as non-genuine receipts would be totally unfair as an amalgamation requires several approvals from governmental authorities. The downfall of CCI had a lesson to be learnt by India’s policymakers. The lesson was: if you want the market to work efficiently, leave it to the market forces and restrict yourself to ensuring the free flow of information. SEBI took over the mantle of regulating capital markets. It received statutory status in the same year CICA was repealed. The new regulator has received accolades for its efficient functioning. It is said that through the efforts of SEBI, the Indian securities market has become one of the safest and the most efficient trading destinations internationally. (iii) larger participation of institutional investors in public offerings. The introduction of book building guidelines was a major step in giving the mandate for deciding the value of shares in the hands of the market forces of demand and supply. Previously, it was mandatory for the issuer to disclose the price and quantum of shares to be issued in the prospectus. In the book building process, the issuer needs to file a red-herring prospectus according to Sec.60B (ii) of the Companies Act, 1956, in which he is not required to disclose the price and quantum of shares to be issued. It is only in the final prospectus, which is submitted after the closure of the issue, that such disclosures are to be made [Sec.60B (9), Cos Act]. Dematerialization is the conversion of security certificates into electronic form. This brought a revolution in the capital market as trading in electronic mode was much simpler and quick. This helped the investor save on the cost incurred as a result of the blockage of money in a public issue, with respect to the time value of that money. All these led to a greater participation of the institutional investors. Further, SEBI has also taken several steps to ensure free flow of information between investors and companies, mainly through ICDR and Listing Agreements. Provisions such as those which require publication of details about the affairs of the company on the its website and on those of Stock Exchanges, have ensured free and fair discernment of information. In a fixed price issue, the issuer is required to disclose the price and the quantum of shares to be issued in the prospectus before opening of the issue. In such a case, the issuer is required to determine the price of the shares in consultation with the merchant banker. In this case, the merchant banker is expected to calculate the price of the shares by taking into account all the relevant factors including the existing net worth as well as the future potential of the issuer. He is expected to rely upon the latest available financial statements of the issuer while such calculation. The methodology he should apply to get to the price of equity shares is, and rightly so, left to his discretion. Otherwise, making a certain method of accounting mandatory for the merchant banker for determination of the prices of shares would again take us back to the old system of controlled market. Book building, as per the definition given in R. 2(1) (f) of ICDR, is a process undertaken to elicit demand and to assess the price for the determination of the quantum or value of specified securities. The directions, with regard to the book building process, are specified in Schedule XI of ICDR. The valuation done by the merchant banker is limited to the extent of the determination of floor price or price band. Again, SEBI has rightly resisted from specifying any specific method of accounting for the determination of floor price or price band. The final determination of the price of the shares is done through bidding process. The transparency of the bidding process is ensured by SEBI. At the end of the issue, the issuer, in consultation with the lead book runner (who is a merchant banker), determine the price of the shares and then the quantum of shares is determined by dividing the issue size with the price of the shares. It must be noted that in both the methods SEBI does not prescribes any method of accounting to be followed but requires the issuer to disclose the method of accounting followed. It truly represents the fact that SEBI has restricted itself to ensuring the free flow of information without interfering with the pricing of shares. In addition to its regulatory functions, SEBI has been quite successful in detecting and disposing of instances of non-compliance or infractions. However, over time SEBI has also realized the fact that its regulations with regard to disclosures required to be made in primary market is much more efficient than those of the secondary market. Thus, now SEBI is considering the proposal of Integrated Disclosures, wherein the disclosures made for the purposes of primary market will also be readily available to the investors in the secondary market. It will also reduce the unnecessary cost arising out of duplication of same information in the two markets. The ‘Integrated Disclosures’ came into the limelight back in 2008 with the release of the Report of Sub-Committee on Integrated Disclosures submitted by the SEBI Committee on Disclosures and Accounting headed by Y.H. Malegam. However, there have been no developments on the same and it seems that the condition of secondary market with respect to disclosures is not going to change in the near future.